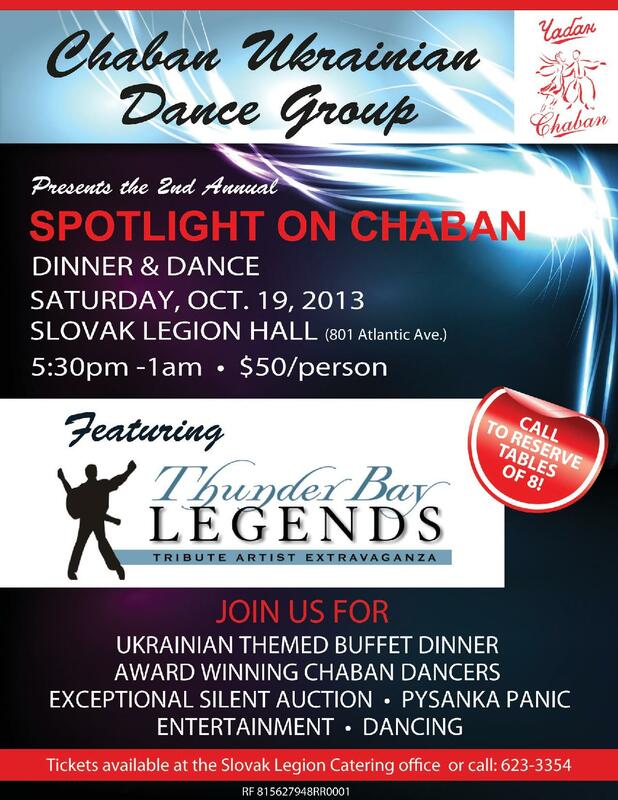 Chaban Ukrainian Dance Group is proud to present its second annual Spotlight on Chaban on Saturday, October 19 at the Slovak Legion, 801 Atlantic Ave. 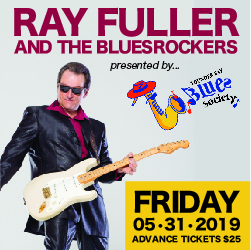 The dinner-dance fundraising evening features a Ukrainian-themed buffet, performances by Chaban Ukrainian dancers, an appearance by the Thunder Bay Legends tribute group, the popular Pysanka Panic, and an impressive silent auction. This year, the Thunder Bay Legends bring Neil Diamond and Abba to the “Spotlight” stage for an entertaining evening. In addition, Chaban’s youth dancers will start the evening with a pre-dinner performance of regional dances with traditional and contemporary styling and costumes. Chaban’s ensemble will perform the always-popular Hopak and then participate in the highly anticipated Pysanka Panic event—look for yellow and blue coloured eggs in your basket. Tickets are available at the Slovak Legion Catering Office, 623-3354.